St. Peter’s Health Partners (SPHP), the region’s largest health system, has appointed experienced health care administrator Kim Baker as the new chief executive officer of The Eddy, and vice president of continuing care for SPHP. In this role, Baker will oversee The Eddy’s comprehensive continuum of health care, supportive housing and community services, including seven nursing homes, five retirement campuses, two regional Alzheimer’s centers, a dedicated rehabilitation hospital, a home care division, The Community Hospice, and many other community service programs. The Eddy is a nationally recognized leader in compassionate, high-quality senior services. The network reaches 22 counties of northeastern New York and serves more than 47,500 people yearly. Eddy services help maximize independence, quality of life and dignity of individuals; prevent the premature institutionalization of chronically ill, frail or disabled seniors; and help individuals of all ages manage their conditions, enabling them to live as comfortably and independently as their conditions allow. “The Eddy has been a national leader and innovator in senior care, and I look forward to Kim’s guidance in steering The Eddy into a new world dominated by population health and new approaches to care,” said James K. Reed, MD, president and chief executive officer of St. Peter’s Health Partners. “Kim is an accomplished leader with more than 18 years of management experience in health care and continuing care, and she has already been involved in many of the new person-centered care models impacting health care today. Baker has more than 18 years of management experience in continuing care. 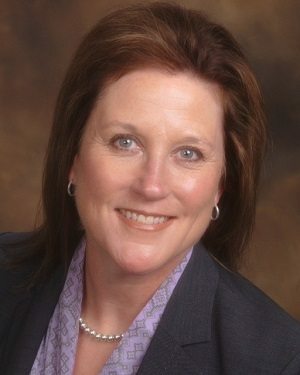 She formerly served as divisional vice president for Kindred Healthcare, Inc., since 2008. Based in Boise, Idaho, she was responsible for the Pacific Northwest Region, Nursing Center Division. Kindred Healthcare, Inc., a top-85 private employer in the United States, is a Fortune 500 health care services company. Prior to that, she held a number of leadership roles in continuing care based in Massachusetts, including acute rehabilitation, long-term care, independent living, and assisted living. Baker is a licensed nursing home administrator. She has a master’s degree in speech language pathology and a bachelor’s degree in communication disorders, both from the University of the Pacific. She is also currently completing her master’s degree in business administration through Southern New Hampshire University. Baker succeeds Jo-Ann Costantino, current CEO of The Eddy and vice president of continuing care for SPHP, who is retiring after 19 years in that role. Costantino joined The Eddy in 1996 following a 20-year career in state government, health insurance, and health and senior services. Under Costantino’s leadership, The Eddy became synonymous with the finest in senior care, and earned a reputation for innovative programs and services to those in need, including the launch of Eddy Village Green, the state’s first Green House® model nursing home; and The Eddy Haven for the Abused Elder, one of only a handful of elder abuse intervention programs in the country.